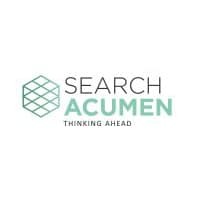 With Blackpool conveyancers preparing for one of the first rollouts of a new digital portal registry from HM Land Registry to help speed up the process of buying property, Search Acumen’s findings show the value of transactions in Blackpool reached £241m in 2017, up by 19% from £203m just three years ago. With £133 million worth of property transferring hands in the first half of 2018, Blackpool’s property market is on track to enjoy another record year of growth. 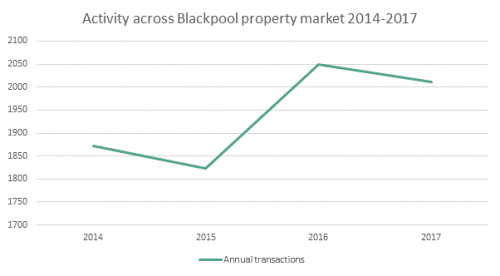 Since 2014, Blackpool property owners have watched the value of their assets increase by £11,633 on average, an 11% increase just three years. The average property price in Blackpool last year reached £119,783, up from £108,150 in 2014. Activity in the market has also been encouraging over the same period. While 2017 saw a slight dip in activity levels (-2%), potentially due to ongoing political and economic uncertainty, over the three year period activity has grown by a healthy 7%, increasing to 2,012 transactions in 2017, up from 1,872 in 2014. This analysis comes as Blackpool is set to become one of the first cities in England and Wales to digitise its Local Land Charges (LLC) register, following the leads of the City of London, Liverpool and Warwick. The digitisation of the LLC register is set to expedite and improve the process of buying and selling property across the town. The newly digitised service from HM Land Registry will provide solicitors in Blackpool and eventually across the rest of England and Wales with online access to data needed to carry out due diligence for homebuyers and sellers in just a few clicks, which they would have previously expected to wait up to 40 days to receive in some parts of the country. “With Blackpool’s property market on track for another year of record growth, the digital switch-on will be welcome news to local residents, businesses and investors, facilitating further growth and investment in the property market. The snail’s pace of the transaction process has held back the property market and often left people stranded after their chain falls through. The initiative by HM Land Registry is a key part of transforming property transactions by helping to save time and reduce fall-through rates.